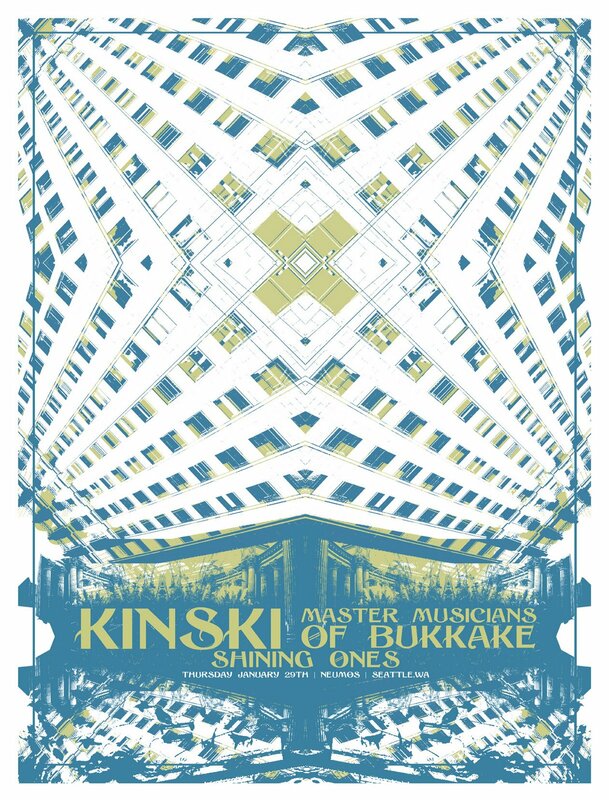 One of Seattle’s local newspaper’s, The Stranger has been kind enough to select my Kinski poster as poster of the week. Thanks! Andrew Crawshaw strays a bit from his trademark distressed- calligraphy/death-metal look in this mesmerizing poster for Kinski. It sort of reminds me of the downtown library. Which I like. hell yeah man! of course it did, cause it rules. Wow,definetly different than your norm…and still completely awesome.